Welcome to another chit-chat edition. Last week I doubted ability to post this article. When you area reading this I am vacationing in Orlando. Yes I had finished this up before heading out. Thanks for being a reader at OCAAT. You are not alone, you are part of a growing follower base. Recently I was surprised with some ranking assigned to OCAAT. Earlier I used to check my ranks a lot. Now I have learnt to spend my time well focusing on reading and writing more. As a result I have been getting a lot of visitors including media reporters and journalists looking for interesting leads on personal blogs. This is welcome sign, I recently got an offer to write for a media agency (yes, with my not-so-american English!). I had o decline for now. I know having a weekly column at a major news site is a sure-fire way to get my blog establish. I may knock them next year. OCAAT also broke in to top 100 Personal Finance blog in Wisebread blog rank. 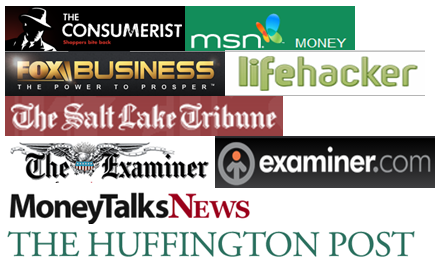 This list is a popular hunting ground for blog advertisers looking for potential clients. Next week i’ll write the monthly update post. although so far this week we haven’t got any mention at large websites, the daily visitor (regular and through searches) number is steadily increasing. My week-long training has ended, with a lot of interest generated to know a lot more. So next few weeks I would be in learning mode apart from usual work related stuff. By the year-end, I will have another skill to add to my résumé and to mention on LinkedIn. If you have missed my related post, here an article about finding job through social media. Hope this could be of help. No roundup this week as I couldn’t get time to sort and rank them among all the articles I read this week. I am thankful to the gracious carnival hosts who published my articles last week. If you have hosted a carnival last week, where I was included and not linked above, please email me – I would love to add your link. Nice job being #1 on Technorati. You get benefits for moving up and down too, so hope you don’t stay in the same spot for traffic sake. Congrats on the ranking! That is pretty awesome. I can’t imagine anything like that yet as I just started out a little over a month ago but hopefully I’ll breakthrough in about a year! I’m here via Technorati and i must say that you can receive a loads visitors after getting on top of such authentic resource.